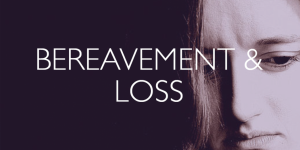 How my bereavement sessions can help. 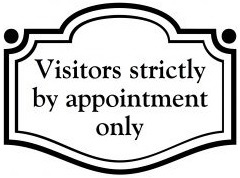 Bereavement sessions are designed to assist in the grieving process. Lazzaro will help you resolve the feelings you are having around the loss of someone you love. Bereavement is one of the most common problems that people bring to my practice in Vancouver. Many people worry that these reactions will go on forever. But with Lazzaro help and support , the emotional pain will lessen in intensity and most people learn to adapt to their changed circumstances. What happens to us when someone close to us dies? For many of us, bereavement will be the most psychologically distressing experience we will face. Everyone experiences grief differently and there is no ‘normal’ or ‘right’ way to grieve. How we react will be influenced by many different things including our age, our cultural back-ground, our religious beliefs and our previous experiences of bereavement. The death of a significant person can be a devastating loss. Bereavement is one of the most common reasons people seek therapy. 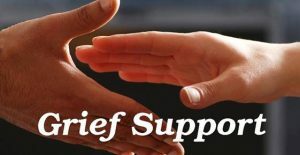 Bereavement or grief session can provide help through the painful process of coping with loss. An experienced therapist can support you through the difficult process of grieving and help you come to terms with loss. Grief is the word we use to describe the feelings and reactions that we have when we lose someone we care about or something we value. Grief affects everyone: it is the universal reaction to loss. It is painful and stressful but also natural, normal and necessary. We all grieve in our own way and in our own time. For some people this might mean crying while others may express grief in other ways. 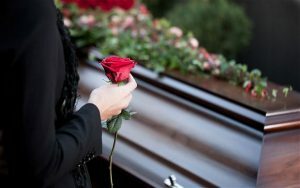 For some grieving may last months or years, while others may recover from loss more quickly. Reactions and feelings can change from hour to hour and day to day. Some people find these mood swings very frightening. The way in which a person died may also have an impact on the grieving process: was the death by natural causes, an accident or suicide? Was the death sudden or expected? Could the death have been prevented if circumstances had been different? Death is, after all, inevitable. When someone close to us dies we have to cope and adjust to living in a world which is totally changed. The person we love is no longer part of our world. We may have to let go of some dreams we shared with the person who has died or we may feel there are things we would like to say to the person but will no longer have the chance. The feelings people experience in bereavement are unique and everyone will cope with loss in their own way. 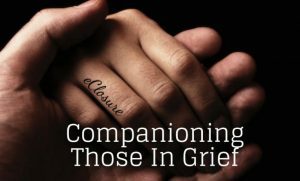 Although bereavement is a very personal and often traumatic event, most people go through a range of recognizable reactions and emotions when someone they are close to dies. It can take some time for the reality of the death to sink in. You don’t want to believe that someone you love has died. The reality can feel almost too much to bear. You’ve lost so much – the person, their love, their friendship, their companionship, intimacy, opportunities and hopes. And this loss may bring tremendous feelings of sadness. You may feel guilty about things you said or did, or things you didn’t say or do. Death can seem very unfair. Many people find it difficult to make sense of personal loss. Sometimes bereaved people can feel angry. This anger is a completely normal part of the grieving process. you had plans for the future together. You might feel angry with yourself too, for what you did or did not do. and for the pain you are suffering as a result of their death. Grieving can be a lonely process. You may feel that no one can possibly understand what you are going through. And you may feel reluctant to talk to friends about how you’re feeling. Grieving can bring on both physical and mental pain which can be overwhelming and frightening. Some people are surprised at how painful grieving can be. You might feel relieved, especially if the death follows a long illness or if the person’s life had been difficult or uncomfortable in their final months. Lazzaro will help you resolve the feelings you are having around the loss of someone you love. Bereavement is one of the most common problems that people bring to my practice in Vancouver. Pets play a very special part in our lives providing unconditional love, joy, loyalty, acceptance, friendship, comfort and companionship sometimes over many years. Many people love their pet in the same way that they do any other family member and it is not surprising that the loss of a pet should invoke a range of potentially intense emotions. This is not something to be embarrassed about – it is perfectly natural and appropriate. ​Lazzaro have experience with many types of clients from many different cultural, ethnic, class, race and religion, abilities, and sexual orientation. I will guide you through this process in a safe, compassionate and non-judgmental manner. 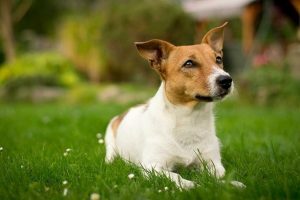 Clearly for most people the loss of a pet leads to feelings of sadness, lethargy and misery; although potentially very severe, these feelings typically start to ease, albeit sometimes very slowly, after a period of days and do not impair one’s ability to go about one’s daily business. However in some cases traumatic and distressing events such as pet loss can trigger clinical depression with feelings of extreme sadness that may last for weeks or months and interfere with daily life. Clinical depression is an illness that can manifest physical signs and for which medical assistance should be sought. Although anger may seem to help as it distracts from the pain of bereavement, in the long run it only serves to prolong an already difficult situation; release the anger and allow yourself to hurt as this is the only path to recovery. Sometimes following the loss of a pet, especially a long-term companion, people describe thinking that they heard or saw their pet. This is especially common just after being asleep and before being awake enough to acknowledge reality. This confusion is relatively common, will become less frequent in time and is definitely not something to feel embarrassed about. 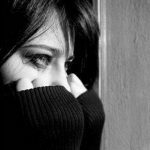 Denying the reality of your bereavement can seem like an attractive option as it keeps the hurt at bay – if you don’t feel the pain, maybe it will just go away. However this rarely works and instead the pain simply remains bottled up inside until it is finally unleashed. Accepting and acknowledging your bereavement is the first step to dealing with it. 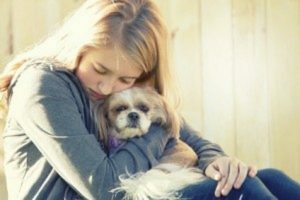 If your pet is still with you but you are planning euthanasia, denying the reality of what is soon to occur deprives you of vital time in which you could be preparing emotionally for the bereavement (in so far as this is possible) and maximizing the time you have left with your beloved companion. Likewise, if your pet has been diagnosed with a terminal illness, accept and work with the reality – make the most of the time you have left while you can, shower him/her with love, spend as much time together as possible. Denying the seriousness of your pet’s signs can lead to a delay in obtaining treatment or in euthanasia thereby prolonging suffering which in turn can manifest as guilt and/or anger subsequently. 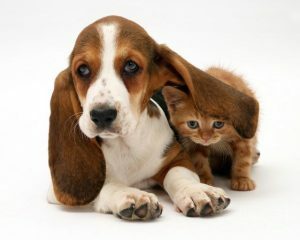 Some people feel guilty because they have doubts over the decision they made to euthanasia their pet; some blame themselves because they feel they were negligent or did something to contribute towards their pet’s demise (“If only I had/hadn’t…”); others feel guilty about times during their pet’s life when they felt they could have been more attentive or caring. Guilt is a negative and destructive emotion and you should try instead to focus on positive and happy memories associated with your pet’s life. In some circumstances it is also possible to learn lessons that you can carry through into the care of a new friend at the right time. Many people experience a similar range and time frame of emotions following bereavement; however it is important to remember that there is no set pattern of grief – it is ultimately an individual experience that depends on many factors including your individual personality, the circumstances surrounding your pet’s death and the relationship you had with your pet. Similarly how long it takes to start to feel better will vary between individuals. Pet loss does not just refer to the death of a pet. Many of the points above also apply to other forms of pet loss, namely when a pet goes missing, has to be re-homed due to unavoidable and regrettable circumstances, or is stolen.